Coach Chot Reyes is stepping down as the head coach of the Philippine National Basketball Team. He announced on his social media accounts today that he is stepping aside from the head coaching duties and will focus in helping the team in a different capacity. In his statement, he opens with the reason for his return as Gilas head coach in October 2016. “Amid my growing responsibilities in 5 and other big projects, I accepted, because I have complete trust in MVP’s judgement and more importantly, because it was an opportunity to serve the country,” he says. Reyes explains that ever since the Gilas program began during Coach Rajko Toroman’s time, he has worked to get the full support of Philippine basketball’s major stakeholders, namely, the PBA. Now that the PBA has offered their full support of the national team, Reyes believes it’s time to move forward. “Now that the PBA has opened its doors fully to the SBP (Samahang Basketbol ng Pilipinas) and the national team, it is time for me to step aside and contribute in a different capacity, focusing on the 2023 program,” he announced. 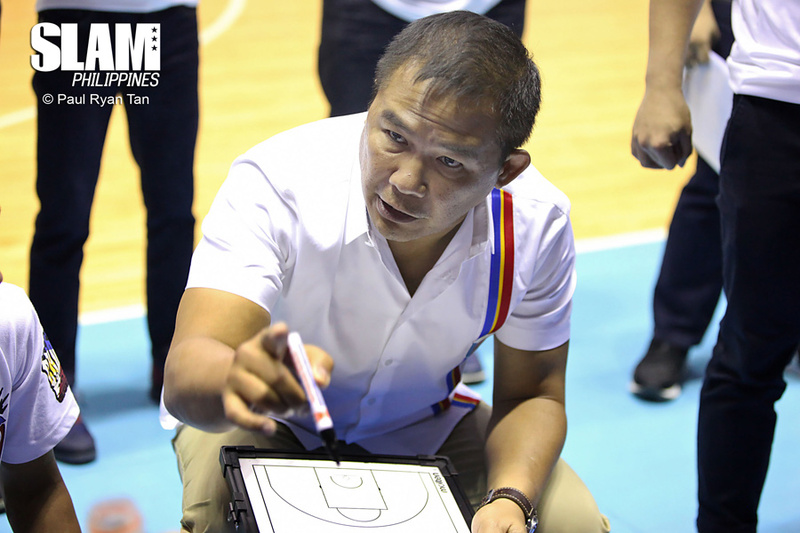 Reyes’ biggest accomplishment as a head coach of the Gilas Program was finishing second in the 2013 FIBA Asia Championship. Because of that finish, The Philippine Team earned a berth to the 2014 FIBA World Cup. He stepped down after the 2014 Asian Games when the team finished seventh. Reyes came back to the program back in 2016, taking over from Coach Tab Baldwin. He’s been working to get the Philippine Team back to the world stage since then. He won the 2017 SEABA Championship and has steered Gilas to a 4-2 record in the ongoing 2019 FIBA Asia World Cup Qualifiers. Unfortunately, in the last game of the third window, Gilas was involved in a brawl against Australia. That resulted in the suspension of several players and Reyes himself. Because of that, Coach Yeng Guiao was tasked to lead Team Pilipinas in the Asian Games as well as the fourth window of the qualifiers. Currently, the SBP has not yet announced if Guiao will take on national team full time. He is still the head coach of the NLEX Road Warriors. Team Pilipinas is currently in Iran, preparing for their first game of the fourth window. They face Qatar later this week in a closed door game at home. Reyes’ role moving forward is yet to be determined as well.